It is specially formulated for both tropical climate and climates with heavy rainfall and extreme temperature variations. It is an exterior finish and also prevents the alkalinity of the masonry works. 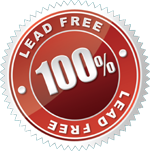 It is an environment friendly paint and is ‘Lead-Free’ with and low VOC. Sand down the plaster with Emery stone and then remove the salt, Alkali or any efflorence if present by washing with very dilute acid. Then apply a coat of Rainbow Perfecton Wall Primer Sealer or Rainbow Water Base Primer, Followed by 2 coats of Rainbow Weather Guard Acrylic Emulsion. Remove all dust, Dirt and loose adhering or flaked paints by scarping. Then apply one thin coat of Rainbow Weather Guard Acrylic Emulsion or Rainbow Perfecton Wall Primer Sealer or Rainbow Water Base Primer followed by Rainbow Weather Guard Acrylic Emulsion paint to finish. Colour Range: As per Rainbow Weather Guard Shade Card. Spreading Rate: Approx 14-18 sq.m/ltr/coat. Film Tickness: 25-30 micron per coat Number of Coats: 2-3 coats. 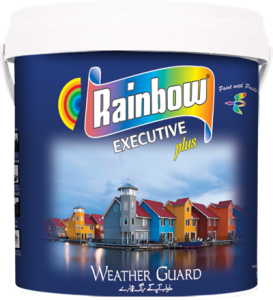 Application: Rainbow Weather Guard can be applied by Brush, Roller or Spray. It is recommended to use this paint when temperature is above 10˚C. Drying Time: Rainbow Weather Guard Emulsion dries with ½ hours to a smooth finish, Allow to dry ½ hours before recoating under humid condition the drying time could be retarded and hence would require a long time to dry. So we recomend that you Recoat it after 2 hours. Packing: 1 Ltrs, 4 Ltrs and 16 Ltrs.